Once you are admitted to the Operations Research Center (ORC), there are a number of important matters to think about prior to your arrival at MIT and once you arrive at MIT. If you have not done so already, you should have provided the Center with the most up-to-date official copy of your transcript. If you have not, please speak with the Academic Administrator. 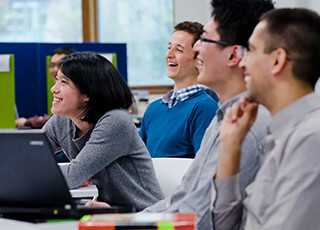 The International Students Office (ISO) hosts many events for international students and helps students navigate immigration procedures. Prior to MIT's Registration Day, you must attend an information session at the ISO to receive clearance to register. For more information, including a guide for incoming international students and information about your visa paperwork, visit the ISO website. On the day your I-20 is complete, the ISO will send it to you via express shipping. You can check the status of your I-20 on the ISO web page. In early March, you will be sent an "Athena Account Coupon”. By following the instructions outlined on the coupon, you will be able to establish an MIT email address. You should do this as soon as possible and let the ORC Staff know once this has been completed. This email address and password will also be used as your Kerberos username and password which will allow you to access a myriad of online resources including online software downloads, the MIT Libraries, WebSIS and the off-campus Housing listings. The ORC will also be setting up a time for you to meet briefly with an ORC Staff member to get orientated to the Center itself and answer any questions you may have. You will receive an email from us in late July to set a meeting. MIT tuition bills are available in electronic format only and can be viewed on your WEBSIS account in July for payment by the middle of August. If you have a research assistantship or fellowship that will pay your tuition, it may not be posted to your account before your bill is due. Please pay only the portion that is not covered by your award (i.e., dorm fees student life fee). If a late fee is applied to the portion covered by MIT, you will not be responsible for paying that late fee. This ID provides library privileges and access to TechCash services, dormitories, academic buildings, and parking lots. The Operations Research Center, in cooperation with the MIT Writing Program, administers a Writing Skills Examination to all incoming students to the interdepartmental program in Operations Research whose native language is English. The Writing Exam is administered online during the summer and requires you to preregister for the testing. You will be sent information via email with regard to the testing dates. The Operations Research Center, in cooperation with the MIT Writing Program and the Foreign Languages and Literature Section, administers an English Evaluation Test (EET) to all incoming students to the interdepartmental program in Operations Research whose native language is not English regardless of previous preparation in English. This test is usually held at the end of August of each year and students will be notified via email with the date. Registration at MIT is usually held during the first week of September (following the Labor Day holiday). Registration is handled electronically and no pre-registration is required for incoming students. Prior to registration day, you should arrange to meet with your faculty advisor on Registration Day to discuss your course selections for the semester. Student Resources Website – Want to know how to find stuff at MIT? From academics to finances and community life to professional development, search and find the resources you need. Search or browse for resources by topic or keyword. View undergraduate or graduate-specific resources. Short descriptions help you understand if a resource is what you are looking for. The site is Mobile-friendly. STELLAR – is MIT’s web-based learning management system developed for managing the authoring and delivery of MIT Courses electronically. It’s primarily used by Course Instructors (or TAs) for presenting materials relevant to their courses (i.e., syllabus, calendar, lecture notes). STELLAR can be accessed by any student with an MIT certificate. The ORC has created its own STELLAR page which can be found under “project sites”. In the ORC Wiki - FAQs section you will find useful information and answers to common questions. The ORC Syllabi section contains links to several of the program handouts that can also be found in the Wall Pockets near the ORC Reception Desk as well as the past ORC Qualifying Exams. The MIT Card Office – (E17-106) After arriving on campus, incoming graduate students must visit the MIT Card Office in order to receive an ID card. An individual must present a valid passport, or a US government-issued ID, such as a driver’s license. Driver’s licenses from foreign countries, college/university IDs from other institutions like Harvard or Wellesley, credit/bank cards, or insurance cards will not be accepted as proof of ID. All international students must go through an orientation at the International Student Office prior to getting an MIT ID. To make an appointment, please call ext. 3-3795, or stop by E18-219. This card provides library privileges and access to TechCash services, dormitories, some academic buildings, and parking lots. The International Students Office (ISO) – (E18-219) provides services that meet the special needs of MIT international students. All international students are required to check in with ISO upon arrival at MIT. The Graduate Student Council (GSC) – consists of elected representatives from academic departments and graduate living groups. The GSC is primarily concerned with promoting the general welfare and concerns for the graduate student body, and communicating with the MIT faculty and administration. MIT WebSIS – is a web-based student information system for MIT students. You will use WebSIS throughout your MIT career to review and maintain your academic and financial student records. The Parking and Transportation Office – offers information on subsidized MBTA passes, free shuttles, etc. The MIT Center for Work, Family & Personal Life – offers direct services and individualized referrals to students, faculty, staff, and their families. Whether providing assistance with work or family-related matters, or other issues pertaining to life at MIT, the Center supports and celebrates the diversity of backgrounds and experiences within the MIT community. The Graduate Student Manual (http://web.mit.edu/odge/) lists regulations and pro-cedures concerning MIT graduate degree programs. "The first day I spent with the ORC and the prospective students made me realize that the ORC was going to be my first choice. The incredible concentration of smart people working on such major and various issues is amazing."